Definitely recommend Angel. Very responsive, quality work, very competitive. I received quotes from eight stores and I chose Angel because he gave me a good price. 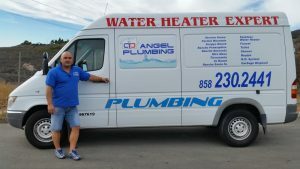 We specialize in residential plumbing service, installation and repair, Water Piping Repair & Installation, Leak repairs. There are different water heaters on the market. Tankless or Tank. If you have a Tank water heater and want to change with Tankless have in mind we may have to change the location and reroute the water and the gas pipes. We also need to find the right place for exhaust vent pipes. All these changes involve price range increase.